The invention relates to an emergency release system for one or more pieces of winter sports equipment, such as skis, ski poles, snowboards, bindings and/or shoes for skies or snowboards. 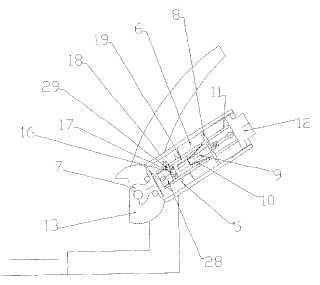 It is quipped with a connection mechanism (10; 32) for detachably connecting at least two elements of one or more pieces of winter sports equipment, wherein the connection mechanism (10; 32) is supported substantially radially in or on one of the two elements, and a drive mechanism (16-19, 28, 29), which can be released from the outside and is suited for voiding the radial support of the connection mechanism, accordingly causing the two elements to separate. The invention also relates to a release method and a manufacturing process for such an emergency release system.